About - Wingspan Life Resources Wingspan Life Resources | Empowering Abilities. Nurturing Spirits. Caring for Life. Inspiring community and empowering people impacted by disabilities to live their best life. The values that guide our day-to-day operations are to recognize and respect the dignity and worth of all persons, without exception. We encourage the personal growth and development of all those we serve; and whenever possible, we provide those we serve with options to create and develop their abilities. We value and recognize the struggles of those we serve to expand their knowledge and capacity. We’re committed to building fellowship in our homes so that all of those we serve have a sense of connection, belonging and long-term relationships. Wingspan Life Resources opened in 1973 as St. Ann’s Residence, under the auspices of Catholic Charities. St. Ann’s was a facility that was home for 30 women with developmental disabilities. In 1977, St. Ann’s expanded with the addition of a group home for six women in Hennepin County. A major step in the development of today’s organization came in 1987 when the organization opened six, four-person waiver homes for both men and women with developmental disabilities in Ramsey County. Waivers are funds provided by governmental bodies to care for people who are not capable of living on their own. Another major turning point came in 1992, when St. Ann’s and Catholic Charities ended their affiliation. St. Ann’s became a separate nonprofit organization called St. Ann’s Residential Services. 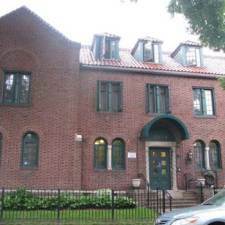 Reflecting the shift in its delivery of services from large residences to single-family homes, in 1993 the 30-person facility closed and St. Ann’s opened an additional seven residential homes in Hennepin County to serve women. In 2000, we changed our name to Wingspan Life Resources to more accurately reflect expanded services to meet new needs and serve new populations. Wingspan has continued to grow over the years. Today, Wingspan provides services to over 100 people with developmental disabilities in 26 residential homes throughout the Twin Cities. In 2001, Wingspan began providing In Home services to people with developmental disabilities. Our In Home program currently serves approximately 50 people. Our newest program is Three Directions, an employment and alternative services program that operates in collaboration with Walker Methodist Residences. The program offers individually designed services for adults of all ages seeking retirement activity, volunteerism, and/or paid employment. We are committed to the highest standards in terms of caring for our residents, stewardship of donations and providing a good working environment for the staff that cares for our residents. In 2013 we received accreditation by the Charities Review Council which establishes accountability standards to assure donors that their funds are being well spent. Wingspan also has been recognized as a “Top Rated Non Profit” by the Great NonProfits – www.greatnonprofits.org whose mission is to inspire and inform donors and volunteers, enable nonprofits to show their impact, and promote greater feedback and transparency. Retaining the employees who assist our residents is very important because of the bonds they build with them. Wingspan has twice received recognition as one of “Top 100 Workplaces” by the Star Tribune newspaper.